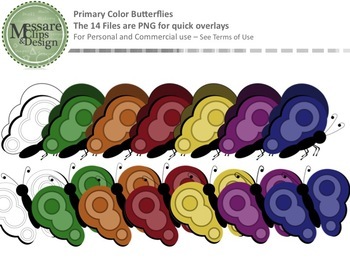 This set of butterflies contains 12 primary color graphics, and the two black lines variants. These butterflies are sure to brighten up virtually any project, activity, or classroom. Click to view the THE MEGA DICE RAINBOW PACK! Click to view the Freebie Mustache Dice Pack!